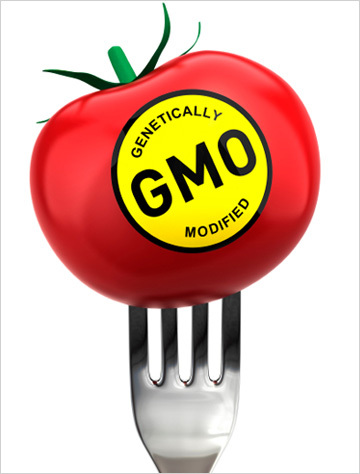 Will food with GMOs get special labels? Pink slime is the most recent thing to give us the creeps about what is hidden in our food. But there’s more lurking, and one group is calling for increased transparency for genetically modified organisms. A campaign called Just Label It is asking the Food and Drug Administration to label genetically modified food sold in America. Just Label It petitioned the FDA last fall, and says the petition has 1 million supporters. On Tuesday, the FDA was required to formally respond to the petition, and it did, though it didn’t give anyone much of an answer. The FDA says it needs more time to make a decision. Today, everything from salmon to soybeans can contain genetically modified organisms, or GMOs, which allow food to grow faster and with fewer pesticides. But GMOs pose dangers when eaten — for example, they’re thought to spur allergic reactions. With its petition to the FDA, Just Label It wants to take the guesswork out of shopping for good, clean food, says Robyn O’Brien, the founder of AllergyKids Foundation, a partner of the Just Label It campaign. AllergyKids raises awareness of the additives found in food. O’Brien says she wasn’t expecting immediate action from the FDA but also points out that the U.S. is behind other countries when it comes to labeling GMO foods. In Europe, for example, labeling is prevalent. “We’re just asking that the same value be placed on the lives of Americans,” O’Brien says. Just Label It is a coalition of more than 500 companies and organizations, including well-known food producers like Stonyfield Farm, Amy’s Kitchen and Honest Tea. Just Label It spokeswoman Sue McGovern says the FDA did respond by the deadline, but it asked for more time to review the petition. In a Chicago Tribune story, Andrew Kimbrell, an attorney for the Center for Food Safety, a partner on the Just Label It campaign, said the FDA’s request for more time isn’t uncommon, given the complexity of the issue. One discrepancy has already bubbled up: A difference in how the number of petitioners are tallied. The FDA says it counts just 394 supporters on the petition to label GMO foods, versus the one million counted by Just Label It, the Tribune reports. A study commissioned by Just Label It says 91 percent of Americans support labeling food that has been genetically engineered. Meanwhile, the study found that 4 percent of Americans oppose labeling GMO foods. While waiting to hear back from the FDA, Just Label It is strengthening its numbers.